We’ve never been west of the Rockies! What are the cannot-miss spots in Oregon? Can I pack skydiving, hiking, camping and paragliding into 10 days in Oregon? Is May it a good time to hike Crater Lake? Where I can snowshoe with my pooch? Are there family-friendly places in Oregon to go zip lining? What are some good drives to see waterfalls that are just a short hike from the road? What are some good family-friendly lake resorts where we can go kayaking? There are some really cool places to visit where you can enjoy a vacation rental with access to kayaking. Twin Lakes Resort is a paddler’s dream as no motorized boats are allowed. It is in a rather remote area between the Willamette Valley and Bend. The drive is beautiful along the Cascade Lakes Scenic Byway…. Where can I take my family rafting, fishing and hiking near Eugene? We want to go camping near good breweries in Eugene. What do you suggest? Where should I start a hike on the McKenzie River Trail? We’re an active family of 4 looking for a week of Oregon adventures. What do you suggest? 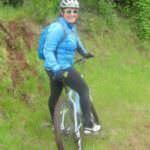 What do we need to know before cycling the Willamette Valley Scenic Bikeway? Thanks for the question! I biked the Willamette Valley Scenic Bikeway in 2011 (read my blog from the ride) and it was one of the best trips I’ve ever been on. I rode in the opposite direction you’re planning, finishing the ride at Champoeg State Park. Champoeg State Park offers RV spaces that you can reserve online…. What are some easy, dog-friendly trail hikes? What are the top 20 hikes in Oregon? This is a tough question because there are so many “top” hikes. I decided to answer this with the 20 best hikes based on what they are best for. 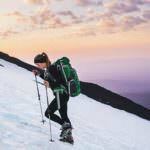 Check out this story to see my Top 20 Oregon Hikes. Happy Travels! Where can I get information on backpacking and camping at Waldo Lake? What are the best places for easy trail hikes that are not too close to the city?